Private jet charter Corpus Christi from Houston Jet Charter, your source for 24 hour private aviation services in Southwest Texas, across the United States, and around the world. Corpus Christi is a coastal military and college hub with about 315,000 residents. With its moderately sized population, the city surprises visitors with its eclectic mix of military, Mexican, and surfing culture. The separate districts each boast their own social and cultural identities and, with the help of geographic distinctions, will each offer visitors a unique experience. Though the city boasts much in the way of entertainment, private flyers wishing to visit often do so for business purposes. With the Port pumping out oil and agricultural products, and the military bases and corporate headquarters creating jobs, business executives flock to the area like moths to a flame. Book a private plane or helicopter and fly private jet charter to Corpus Christi, TX. Call or email our Corpus Christi Jet Charter brokers to get an outstanding deal on private jet charters in Corpus Christi, Texas. Our team arranges private flights to/from Corpus Christi with on-demand air charters in as little as 4 hours notice. Our private air charter services extend across the United States and around the world, with free no-commitment quotes, competitive hourly pricing, and no fees, memberships, or hidden charges. Call +1-888-987-JETS (5387) for pricing and availability on Corpus Christi private jet charter flights. Houston Jet Charter utilizes the following airport to fly clients privately to/from Corpus Christi, Texas and neighboring areas. This gorgeous Texan gem is sequestered slightly inland of the Gulf of Mexico. Full of architectural, cultural, and natural beauty, a day spent in Corpus Christi can be hard to beat. Bask in the radiance of a Texas sunrise from the Bayfront or Downtown districts. Head over to North Beach and gawk at the imposingly fierce USS Lexington. Whatever you plan to do while you’re here, just make sure to plan ahead and book the hotel that best suits you and your family’s needs. Our team knows that this can be of a task, given the amount of options in the area. From the gorgeous four star classics to the interestingly eclectic boutique hideaways, there is a lot to sift through. If you’re feeling a bit inundated by all of the advertisements and unnecessary information travel agencies throw at you, keep reading. Corpus Christi Jet Charter has compiled a list based on client feedback, online reviews, and amenities offered; read on for our list of the best hotels in Corpus Christi, Texas. A wild college town, a relaxing Gulf Coast getaway, a job and a family – Corpus Christi, Texas wears a different mask for each person. 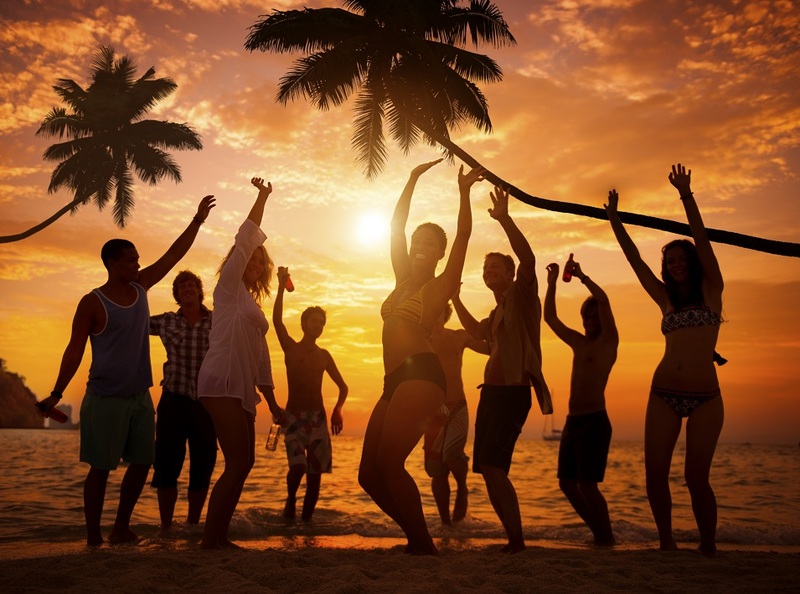 South Padre Island hosts the craziest Spring Break parties in the United States, while those same beaches are full of relaxing retirees and families during the rest of the year. Sports fanatics love this active seaside town for the numerous windsurfing and watersport events that is hosts yearly. Whatever side of the fence you belong to, you’re bound to enjoy your stay in this sparkling seaside city. For private jet travelers, it may be somewhat difficult to ascertain which attractions would be the most rewarding. From the intriguing and dramatic Texas State Aquarium to baseball’s iconic Whataburger Field, the choices can be a bit daunting. So read on and check out our well-researched list of the best Corpus Christi attractions. Request a FREE charter quote by calling us at 1-888-987-5387. Enjoy direct access to private jets, turboprops and airliners based in Corpus Christi, Texas complete with all-inclusive quotes, competitive hourly rates, and the highest levels of safety.